Upon upon a lily pad, the frog prince awaits for his rewarding kiss! 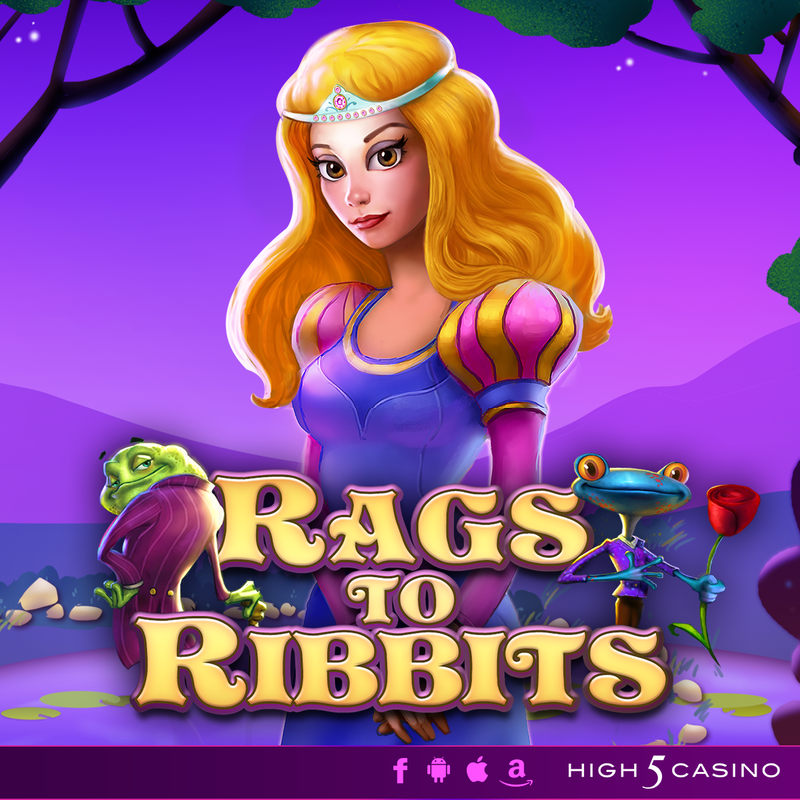 Get ready for a fairytale delight in High 5 Casino’s 265th game! Entrapped in the body of a frog, the prince must land a winning kiss to break the curse left upon him. Living in the castle’s pond, the frog prince hopes to get the attention of his beloved princess he admires so greatly. One day, the princess decided to take a stroll in the ground’s garden, nearest to the pond. Little did she know, she was about to meet the frog of her dreams! Follow along with this fairytale delight as the frog gets his rewarding kiss and transforms back into a prince in Rags to Ribbits! Get ready to live winningly ever after with Stacked Wilds and Expanding Wilds! Comment in the conversation bubble located on the top right corner of your screen and let us know what you think!